Esmeralda Samudio, a senior at Franklin High School in Baltimore County, is eager to serve as your 2018-19 State President. Her involvement and devotion to FBLA started her freshman year and continued through her sophomore and junior year. Esmeralda served as chapter President her junior year which motivated her to run for State President. Opportunity is the driving force behind everything she does. Esmeralda wants to advocate for the importance of taking opportunities that FBLA provides into our schools so that students can continue to do what they love. She wants to be the voice that represents Maryland FBLA and a leader that others aspire to be like and look up to. Esmeralda looks forward to giving back to this organization which has provided her with so many opportunities. Esmeralda is passionate about FBLA and is ready for a successful year of change and innovation for FBLA alongside an amazing State Officer Board. David Jin, a senior at Mt. Hebron High School in Howard County, is ecstatic to serve as your 2018-19 State Reporter-Historian. Since joining FBLA as an uninitiated and directionless freshman, David has developed numerous personal skills and now strives to offer prospective members the same valuable experience that FBLA had afforded him. Dedicated and highly-energetic, David looks forward to developing FBLA at the regional, state, and national level alongside the capable 2018-19 State Officer Team. Outside of FBLA, David is prepared to create, lead, and inspire in order to direct Maryland FBLA towards a greater and brighter future. Mahima Pande, a senior at Hereford High School, is excited to serve as your 2018-19 Region 2 Vice President. Her dedication towards FBLA sprouted freshmen year and has only grown stronger since then. Challenges help oneself to rise above boundaries and attain one’s fullest potential. From competing in Business Ethics to Public Speaking, Mahima has challenged herself throughout her FBLA jouney. She decided to channel this passion towards FBLA by becoming a part of the state's leadership. Support from her chapter’s adviser and her parents motivated her to run for Region 2 Vice President. Mahima is optimistic and enthusiastic towards what her FBLA future holds! Not only is she excited for her term, but she is also eager to work with her State Officer Team to advance FBLA to new heights. Moreover, she aims to give back to her community and her peers what FBLA has given her to treasure for a lifetime. Luke, a senior at Marriotts Ridge High School in Howard County, is delighted to serve as your 2018-19 Region 5 Vice President. Luke has been a member of FBLA for three years and tries his best to attend as many FBLA events as possible. He loves anything related to computer science or technology and spends most of his free time working on programming projects. In fact, last year at the FBLA National Leadership Conference, Luke placed first in the category of Mobile Application Development. As Region 5 VP, Luke hopes to work towards streamlining communication within his region as well as work with local chapter officers to increase the participation of their members. If anyone has any questions or wants help with anything related to FBLA they can feel free to reach out to him! Isabelle Zhan, a senior at River Hill High School in Howard County, is extremely excited to serve as your 2018-19 State Vice President. 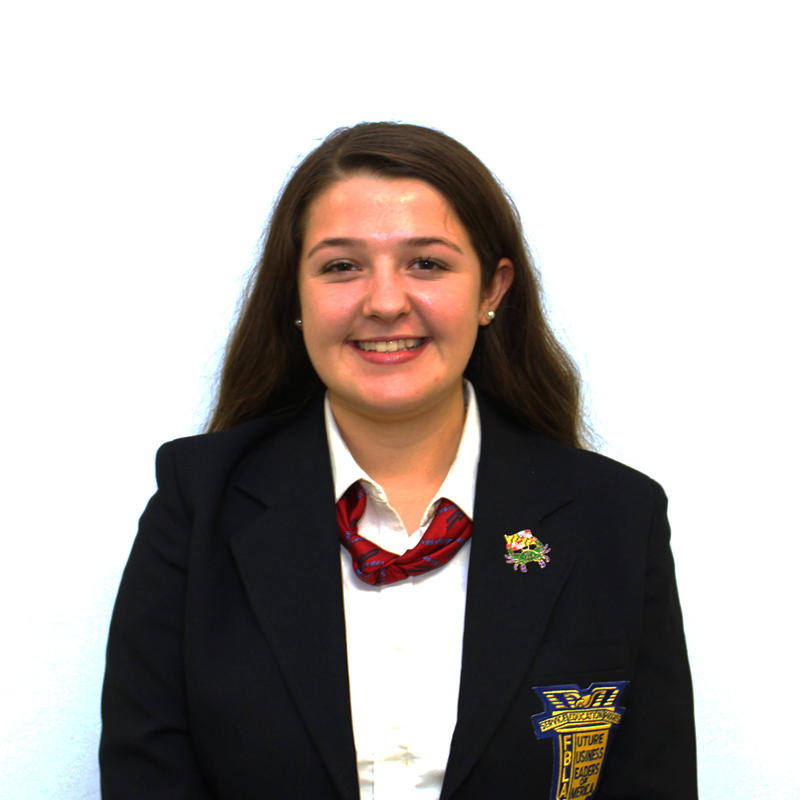 Since joining FBLA her freshman year, Isabelle has enjoyed attending regional, state, and national conferences. She has been honored to receive 1st place in her events at the State Leadership Conference twice. Her active membership in the organization, both at the local and state level, drives her passion for leadership. Through this experience, Isabelle has been immersed in a tight-knit community of peers that continues to inspire her. She is thankful for the countless opportunities FBLA has provided for her and is excited for what the future brings. In her free time, Isabelle enjoys dancing, volunteering, and traveling. Isabelle hopes to give back to FBLA and its members and is ecstatic to work alongside the State Officer Team to make this year exceptional! 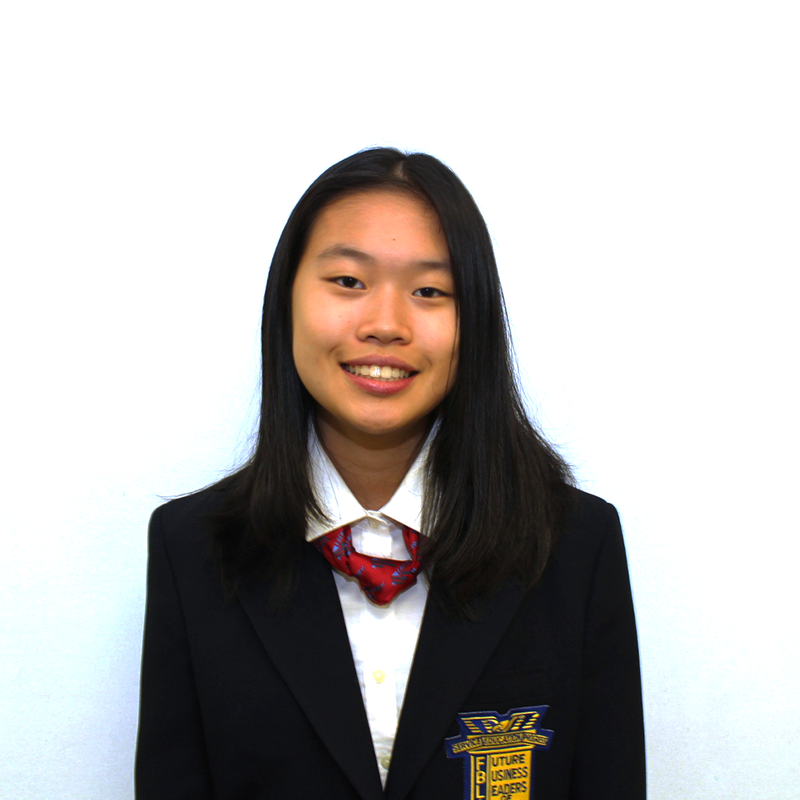 Kathy Yao, a sophomore at Dulaney High School, is honored to serve as your 2018-19 State Parliamentarian. Her involvement began in her freshman year when she was introduced to many new experiences and opportunities FBLA had to offer. Kathy is so fortunate to be able to join an organization like FBLA, which has allowed her to step out of her comfort zone and reach new heights. She hopes to be able to share her passion and knowledge with the members, encouraging everyone to reach for their goals. In addition to being an FBLA officer, Kathy is a tennis player, enjoys traveling, and likes to play the violin. Kathy is very excited to work with the State Officer Team to make this year great for Maryland FBLA! Jamar Tolbert, a senior at North East High School in Cecil County, is honored to serve as your 2018-19 Region 3 Vice President. 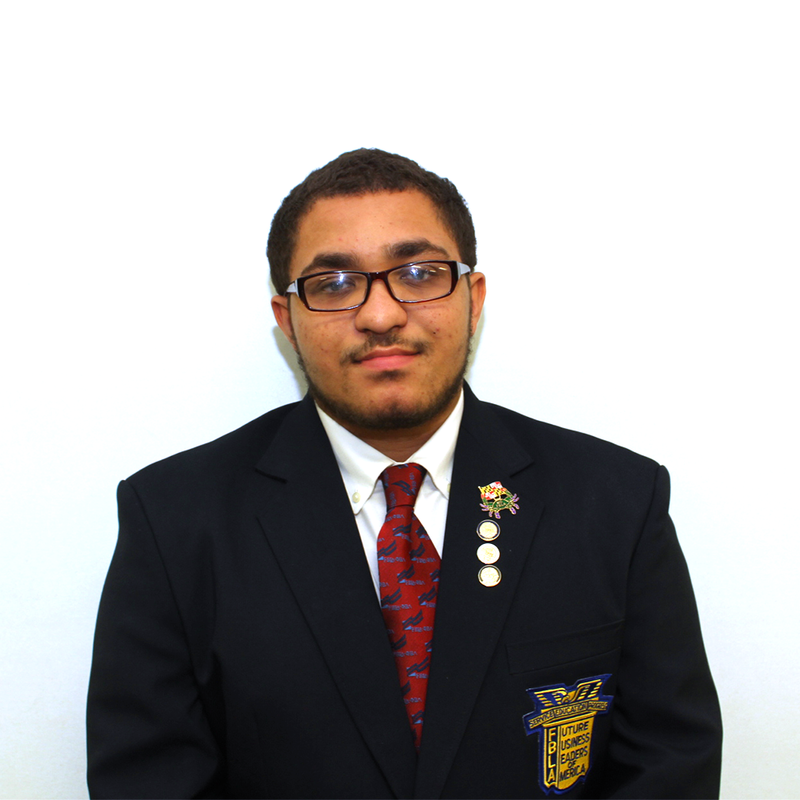 Jamar began his journey with Maryland FBLA in his freshman year. He has been able to gain many skills and opportunities and has loved every experience Maryland FBLA has offered him. He has competed in Introduction to Business Procedures, Introduction to Business, and Healthcare Administration on the regional and state levels and the chapter event American Enterprise Project on the state and national levels. Additionally, Jamar has held various officer positions within his local chapter. He attends the Cecil County School of Technology and is enrolled in the Teacher Academy of Maryland Program. Jamar cannot wait to help Create, Lead, and Inspire the members of Maryland FBLA! Joey Weiland, a senior at Middletown High School in Frederick County, is honored to serve as your 2018-19 Secretary-Treasurer. Since freshman year, he has been amazed by what FBLA has to offer. He has seen firsthand the impact FBLA can have on a student through attending regional and state conferences. After holding an officer position in his chapter, he was inspired to expand his leadership role. He hopes to increase the outreach of this organization and spread business leadership skills to more Maryland students. In his free time, he enjoys playing golf and violin. Alongside the State Officer Team, Joey is ready to make this a great year for Maryland FBLA! Jacob Miller, a senior at Allegany High School in Allegany County, is excited to serve as your 2018-19 Region 1 Vice-President. Jacob joined FBLA his junior year of high school and has found a love and great passion for the organization and was inspired to run for State Office. He has attended the State Leadership Conference where he qualified for the National Leadership Conference in Broadcast Journalism. In his free time, he enjoys playing soccer and running. Jacob is proud to be a part of making this year a truly successful year for Maryland FBLA. Hannah Klein, a Junior at Chesapeake High school, is looking forward to serving as your 2018-19 Region 4 Vice President. When she joined FBLA her freshman year, Hannah developed a love and dedication for FBLA. She has attended both regional and state conferences, competing in Public Speaking and Broadcast Journalism. Her love for people and leadership have helped her communicate with others and experience FBLA to its full potential. Hannah is excited for what is to come in the future and expand on her knowledge with FBLA. Along with her love for FBLA, Hannah also enjoys spending time with her friends, playing lacrosse, watching the TV show Survivor, and volunteering with animals. Hannah is grateful to be working with an amazing officer team and making this year of FBLA as enjoyable as possible!